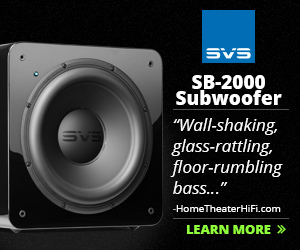 I am always on the lookout for new gear that provides an obvious solution to an individual setup need. Combo DAC and headphone amplifiers are a simple remedy for desktops that have precious little real estate and/or workstation setups where a larger gear just isn’t discreet enough. The tradeoff is versatility in some cases. 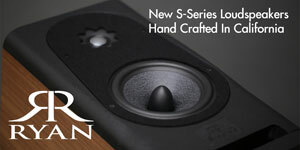 Small size doesn’t always equate to the best sound and individual component upgrades aren’t usually an option. Truth be told, I do love the simplicity of combo units. If you throw in a power supply that is truly mobile, you have something really special, especially for those guys who travel frequently who still want good sound. So you can imagine my excitement when I heard that they guys over at ALO audio were coming out with a new DAC/Amp combo, one that included a tube stage no less! The ALO Audio Pan Am ($600) includes a USB 24bit/96 kHz Wolfson DAC combined with tube-based headphone amplifier, have our desktop audio prayers been answered? As with many combo units, some concessions had to made in the name of simplicity in order to keep size (and costs) to a manageable level. USB is the only digital input, there is no optical or coaxial inputs available. 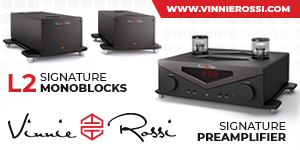 The amp does feature two additional analog inputs that provide access to the amp from an outside source. Likewise, headphone amplification is the only output available, so you will not be able to use the unit as a standalone line-level DAC. For what it does, (computer-based mobile desktop headphone amplification) the ALO Pan Am does extremely well. 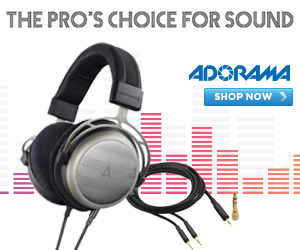 When it comes to headphone pairing, I found the Pan Am to be extremely versatile, which can be a very difficult thing to achieve when you consider the wide range of headphone impedances a manufacture has to deal with. This is one of the first combo amps that I’ve reviewed that handles sensitive IEMs just as well as it handles full size headphones. IEM amplification is always host to a varying amount of additional concerns that can negatively affect sound quality. Channel imbalance at low levels and line noise are two big issues for IEM that are not usually a problem for full-sized headphones. Surprisingly, I was not able to detect any low-level channel imbalance from the Pan Am with any of my IEMs. The ALO Pan Am equipped with its optional separate power supply provided a dead quiet background for my Jerry Harvey JH16 IEM that I haven’t heard from many amps. With the gain switch on low, no background noise hiss could be heard at all until the knob was at full volume (and then only faintly). Listening levels at this volume are far beyond what anyone would ever use with an IEM. I found listening levels to be comfortable at about 10%, so you will need to be a bit careful with the controls with high sensitivity headphones, as the volume swing is a little touchy at that corner of the pot. 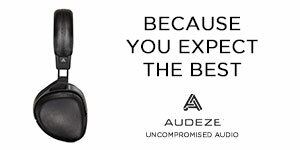 The Audeze LCD3 exhibited comfortable listening levels around the 50% mark on the low gain setting, allowing plenty of headroom for listeners who prefer a more rock ‘n roll style approach to music listening. I did notice a slight hum through my JH16s when the Pan Am was plugged directly into the outlet via the supplied wall wart. If you are using the Pan Am with an IEM I would recommend supplementing the amp with either the Gateway (ALO’s external power supply compatible with it’s National and Continental amps, $150) or the Passport (the Pan Am external battery, $200). You might also want to look into the Passport if you are interested in mobile usage as the unit will not power off the USB port alone. However, I was not able to get the DAC section of the Pan Am to connect properly with my iPad through the camera connection kit adapter. In a pinch you could always tap into the amp directly by connecting a Line Out Doc from your iPad to one of the Pan Am’s analog inputs. The Pan Am by ALO audio takes up very little space on the desktop. It’s two power supply complements, stack neatly below the unit and do not exceed the Pan Am’s roughly 4” by 4” footprint. Aluminum ridges hold the components in place. If there was room for a little improvement, it would be nice if some non abrasive footies were included. I found the rails of the bottom unit to be a bit more rigid to tender surfaces than I liked. The build is solid and very comparable to many of the standard machined aluminum casings that you see in this price range. The branding is a bit understated on the Pan Am. 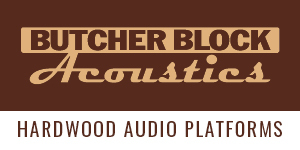 Only a single logo graces the top of the amplifier illustrated in a Cajun-script-style font. This is all fine by me, I’m not a huge fan of anything overly flashy in these conditions. Knobs and switches all behave as they should. The main volume control is not a stepped attenuator, which I find advantages when dealing with IEM amplification where fine control is so important. There is also a single physical rotating control knob located along the back of the unit that allows you to switch between the one digital and two analog inputs. The front faceplate sports an on/off switch, high/low gain, volume and both large and small headphone jacks. An amber indicator light lets you know when the unit is powered on. Three things really stood out for me when listening to the Pan Am. Details, soundstage and bass balance. The Pan Am was masterfully detailed in it’s presentation. Music felt both rich and organic with accurate highs and mids. 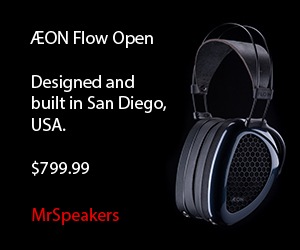 The entire frequency range felt extremely balanced and textured, especially when it came to the low end. 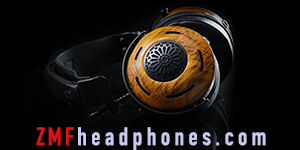 The Pan Am handled headphones from IEMs to Audeze LCD3s to Grado SR80s with lively, balanced, smoldering bass. When compared to the CEntrance DACmini CX (amp section only) I noticed a wider soundstage with better instrument separation. John McVie’s bass on the 24/96 recording of Fleetwood Mac’s Rumors was just a bit easier to pick out of the mix with the Pan Am. The entire album sounded very believable while still remaining delightfully dynamic. I did feel that the DACmini CX had a slight edge with its DAC section over the Pan Am internal DAC. Small size, headphone versatility and outstanding sound quality make the ALO Audio Pan Am my new headphone desktop amp/DAC combo recommendation. If you have the loose change I would also suggested picking up either the Passport or the Gateway for improved performance. ALO Audio continues to deliver great sounding gear on the portable headphone front, bravo guys. 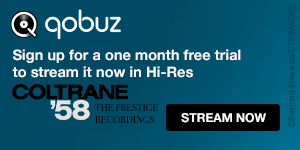 Aren’t you better off getting something from woo audio line of headphone amps that will power full siza cans a bit better? p.s I have the alo mk3 and argo rythms solo amp/dac combo that i use with akg 3003i that sounds a treat together..
OMT, It really depends on what your priorities and preferences are. The Pan Am amp is pretty powerful, I didn’t notice any issues driving full-size headphones. The relative size of the Pan Am is smaller than WA6 or the WA6-SE (which are closest in price point). The Woo line also doesn’t include an all-in-one DAC either. So if compact size is a priority then you may what to check out the Pan Am. But if you got the space and are a fan of the Woo house sound that may be the direction you want to go. 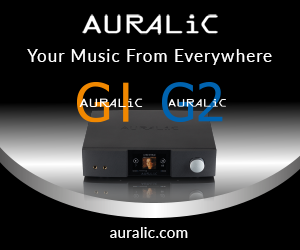 It will allow you more versatility with your DAC choices as well. According to the specs, the Woo WA-6 “SE” version has a bit more juice than the WA-6 should you need it. GREAT job Brian!! I’m getting one soon, can’t wait to hear it!!!! Does it come with the usb interconnect cable or does that come separate? ever compared pan am side by side listening ,to cypher labs theorem 720 ?